Teachers, stop winging your classes! It happens to the best of us. Lets face it, we are in a creatively demanding job and some days, well, you just don’t feel inspired. 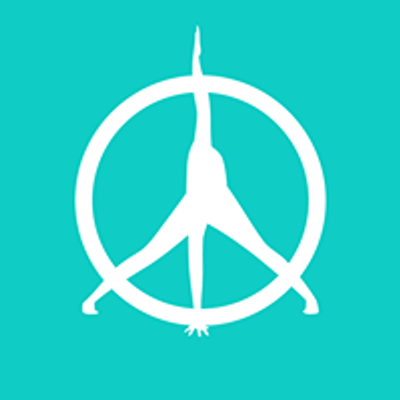 Do you want to learn how to develop purposeful, and effective yoga classes? This training will arm you with the knowledge, inspiration, and technique you need to generate fresh, safe sequences that represent your voice and vision as a teacher. It will give you the tools to offer your students a complete experience. Leaving your students feeling fulfilled, and giving you, the teacher the tools to stay inspired and be prepared. - Walk into every class with a clear idea of how things are going to unfold. - Learn how to incorporate safe, yet creative transitions. - Learn how to weave in different elements of the practice so each student can leave with something that resonates with them. There are so many ways to sequence a class, but the reality is most people in our culture spend a lot of time in the same position for most of their day, sitting, driving and have therefore become tight and often weak in different areas of their bodies. 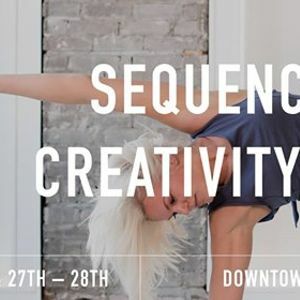 Changing the way you sequence doesn’t mean you can’t teach a creative, fun class! It means that we need to learn how to better prepare the body for asana to keep our students safe, and have them feeling mentally and physically prepared for your practice. - Learn how to teach a class with an Intentional anatomical focus, incorporating a balance of both strength and flexibility. - Learn to modify your sequence on the to better suit your audience and truly teach to all levels, this includes how and where to introduce props into your sequence. - Bring in the actual tool of “teaching” your students as opposed to just guiding them for a class. Learn how to get your students to better connect mentally to their bodies in order to move more efficiently through asana. “Teach” your students to understand what is actually going on anatomically in their bodies and how it applies to the asana practice. It takes time to connect to our bodies on a deeper, more cellular level, to learn how to move and use our bodies more effectively. The more students can understand their physical bodies and how to connect, the safer and stronger they will become. Music should be played with purpose, when used properly it can be a very powerful tool that add to the energy of your flow. So stop putting your go-to yoga playlist on random, learn to use your music to add to and control the energy of your class. Create an atmosphere, tell a story. Learn how to USE your music to control and move with the flow energetically. - Get a better understanding of our connection to music and how it can be a powerful tool in your classes. Get more creative, have more purpose. Yoga can sometimes get a little unnecessarily fancy. We all want to find fun new ways to get in and out of postures, but these transitions should be equally as thought out as the postures and sequence. How to Incorporate Inversions into your Public classes in a safe, creative way. - Break down you peak poses and develop a deeper understanding for how the body needs to be prepared for peak postures and for a vinyasa practice. I am in my 12th year of teaching and have been one of the leads on Pure Yoga’s 200hr YTT for 4 years. My passion for sequencing began early on as a yoga teacher when I began more curious to understand not just how we move the body through asana, but why? The art of putting together an intelligent sequence that leaves your students feeling fulfilled on all levels truly is an art. I don’t prescribe to one style of sequencing, as I do not prescribe to one style of movement. I do not believe there is “one” way to do anything. I believe that having purpose and intelligent thought behind your sequence will serve not just your students, nut you as a teacher. Buy continuous learning and proper preparation I have witnessed as a teacher, the ability to keep my students safe, and have them leaving class feeling balanced and fulfilled on all levels. I am so excited to share with you my experience combined with my passion for creating sequencing that not only has purpose with a strong focus on the physical body, but also brings the element of play, curiosity and creativity into your classes. My background in dance fuels my love to teach a creative, intuitive flowing class. My experience with injury reminds me to keep my sequences smart so my students practice safe, and still leave with that feeling of bliss. I completed my training in Toronto under the guidance of Ron Reid, Marla Meenakshi Joy and David Bruni. I am also a big fan of Dylan Werner. Yoga to me, is the self exploration authentic self. I have found my true passion and true source of self care, both physically and mentally on my mat. The opportunity to share this with my students is a gift, this practice has truly planted my feet on the ground. Creative sequencing has always been the route of the art of teaching yoga for me, I love the ability to create a fun, meaningful experience on my mat and share it with my students. I came from a competitive dance background, I eventually came to a crossroads where my body and mind were no longer feeling fulfilled or invested. I found yoga and body movement to rehabilitate my injured back, and I never looked back. Peter has been in the fitness industry for 6 years and is always looking for new and unique ways to challenge the body. Training as a generalist trying to find that balance between strength, conditioning, mobility, and most of all fun. Peter’s been trained mostly in Yoga, Yoga Tune up, and Kettlebells. So much of the training Peter puts himself through is to prevent pain/ injury, build better posture, and ultimately get the results of looking and feeling better. Coming from a background of competitive basketball and football, Peter has always had a drive for a physical challenge. However, now there is an equally strong drive towards self awareness and alignment. If you’re not seeing Peter in the Gym you’d find him being active in a yoga studio, walking the dog, rock climbing, or portage camping in Algonquin Park.